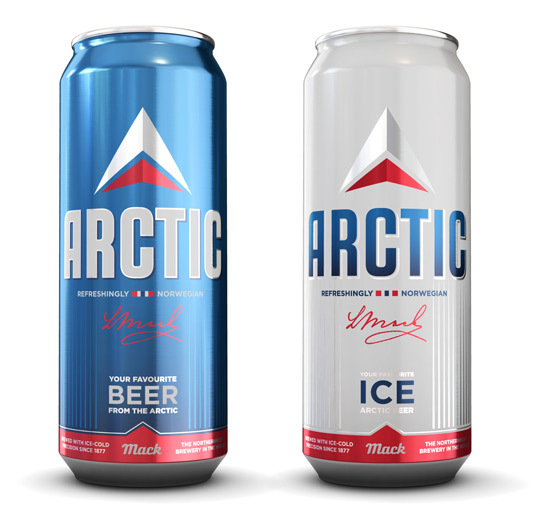 “The brief: Mack’s number one-product, Arctic Beer, was changed from being a standalone product, to a series including Light and Ice versions. The client wanted a modern and young look with similarities from the predecessor – while at the same time being something new and fresh. I kind of like this.. I’d be love to see the can that it replaced though. I would like to take this opportunity to thank the fine folks who work for Mr. Ludwig Mack at his brewery in Tromsø. 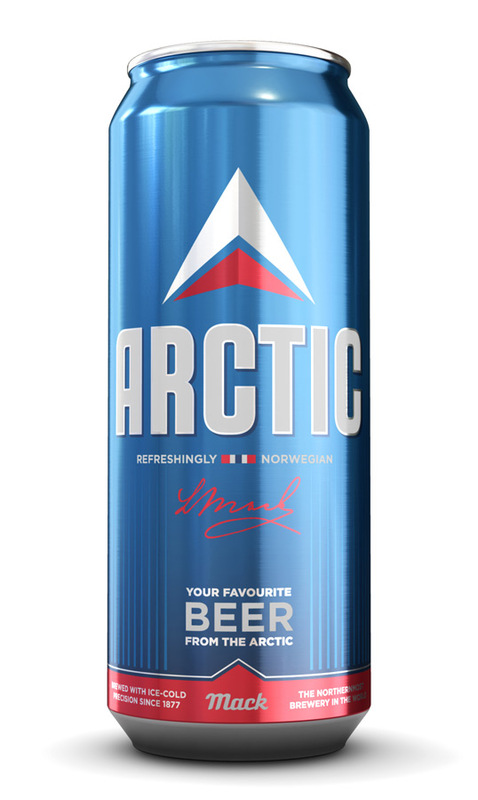 I am particularly fond of their re-branding of their ARCTIC Beer cans with big bold letters. 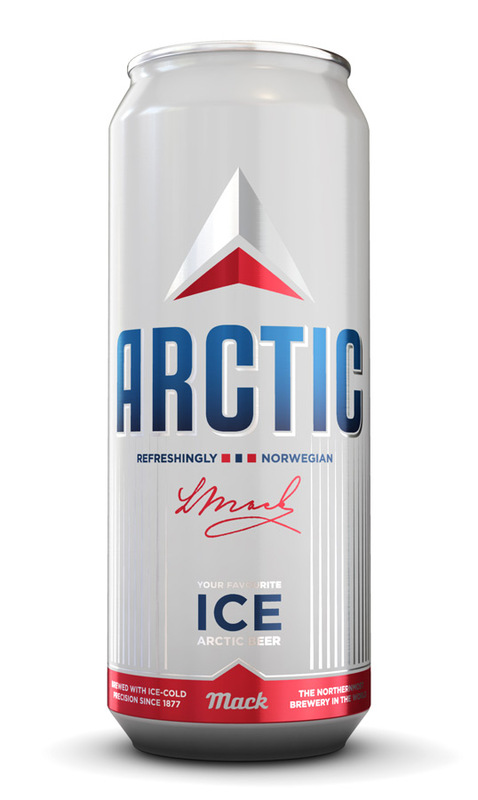 Although I was quite happy with the old Polar bear on the ice flow label (which held a striking resemblance to the Norway’s national hockey team’s jersey) I do however like the new design. Yes just as the can says it is “Refreshingly Norwegian”. I hope the employee who suggested that they put that bright and shiny red pull tab on the top got an extra little something in his wage pouch. It has the same mesmerising effect on a middle aged beer drinker as it would if used as a fishing spoon on a river trout….. Yes I think I will have another….